This fun little gift has been a tradition in my family for years. I remembering receiving it from a friend in Elementary school and my family and I have been using it ever since. It is an especially fun idea for younger children. It turns making a cup of hot cocoa into a magical and memorable experience. 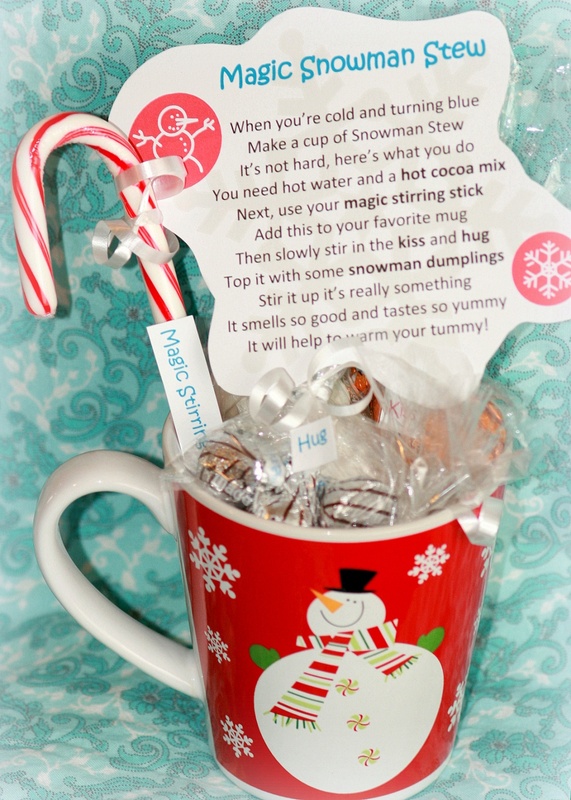 Print out the Magic Snowman Stew PDF and cut out the poem and the individual labels. Put each item included into the Snowman Stew into their own separate bag and tie them with curling ribbon. Place a small dot of hot glue onto the back of each label and glue it to each item it corresponds with.